The Eco barn sleeps 12 and is two adjacent communicating five-Star luxury cottages. 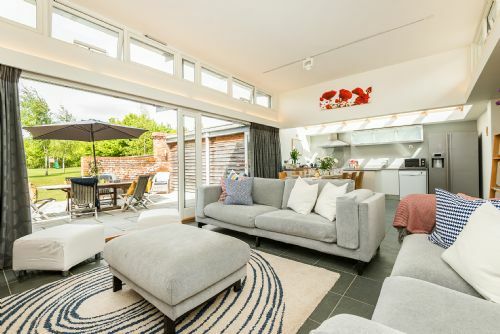 Garden House & Avocet are hired as a single property for extended family holidays, gatherings and events. The properties offer flexible space to socialise together when you want to, and a space of your own if you choose to be independent. The dining table in Garden house seats 12 and the space works well for bespoke dinner parties and fine dining events. There are 6 bedrooms sleeping up to 5 adults and up to 6 children. Two of the luxury double bedrooms have ensuite bathrooms and there are 2 family bathrooms. 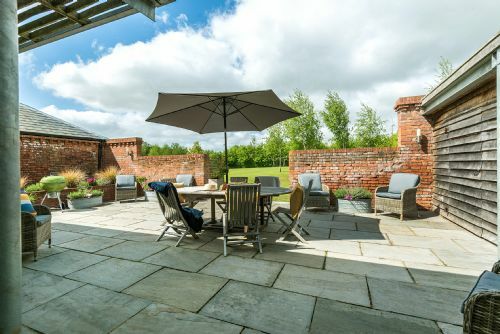 Garden House has a private walled terrace for alfresco dining where everyone can get together. 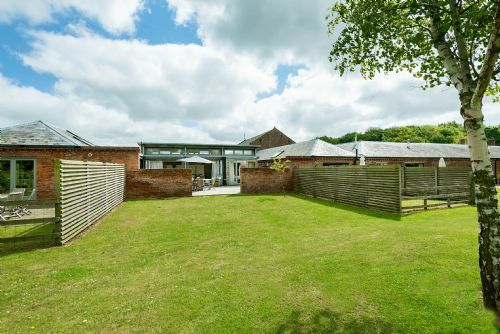 The Eco barn is situated close to the tennis courts and there is ample parking in the adjacent parking area. 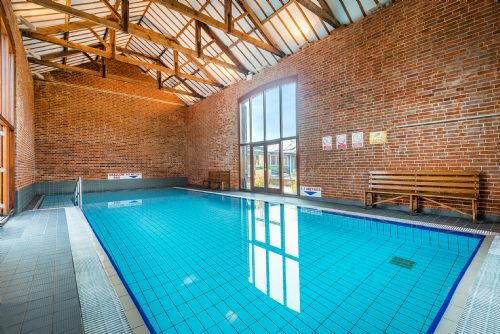 Guests have shared use of the luxury indoor heated pool, 2 tennis courts, games barn and secure bike store. I booked the Eco barn alongside some other family members in End Cottage as a surprise 60th birthday for my husband. We were delighted with the accommodation. It was warm, clean and very comfortable. We received a friendly welcome which was enhanced by truly delicious freshly baked cakes and tea. Zoe and the staff had rearranged the furniture to suit are needs and with 12 of us it all worked out perfectly. John very kindly took my husband and a few others to see his classic car and motor cycle collection which was an added treat. We enjoyed the swimming pool and had a few games of table tennis. Zoe and Sam prepared a wonderful meal for us on Saturday evening with a superbly decorated table making it a very intimate and special family celebration. We were sorry to leave and enjoyed every minute of our stay. We would love to return. We had a great family get together in these wonderful cottages - perfect. Lovely grounds and facilites.